Palestinian militants fired a rocket at Israel late Tuesday prompting further retaliation strikes from the Israeli army, with the late-night exchanges threatening claims of a truce. It comes hours after Prime Minister Benjamin Netanyahu said he was prepared for further military action in Gaza, at a highly sensitive time ahead of Israel's April 9 elections. The latest severe flare-up began early Monday when a rare long-distance rocket fired from the Gaza Strip hit a house north of Tel Aviv, wounding seven Israelis. The Israeli military hit back with a series of air strikes across the enclave and Palestinian militants launched a barrage of new rockets. No casualties have been reported. Calm prevailed throughout Tuesday, with Hamas claiming Egypt had brokered a ceasefire, but as night fell Israel said a projectile was fired from Gaza around 8:00 pm (1800 GMT). Hamas, the Islamic Jihad and other groups said "the rocket that hit near Ashkelon was the work of an individual and the factions are committed to calm" as long as Israel is. "Our airforce just struck several Hamas terror targets in Gaza," the Israeli army tweeted late Tuesday. "If Hamas think that we'll sit idly by as their rocket fire, explosives, and breaches of Israel's border fence threaten the lives of Israeli civilians - they're wrong. 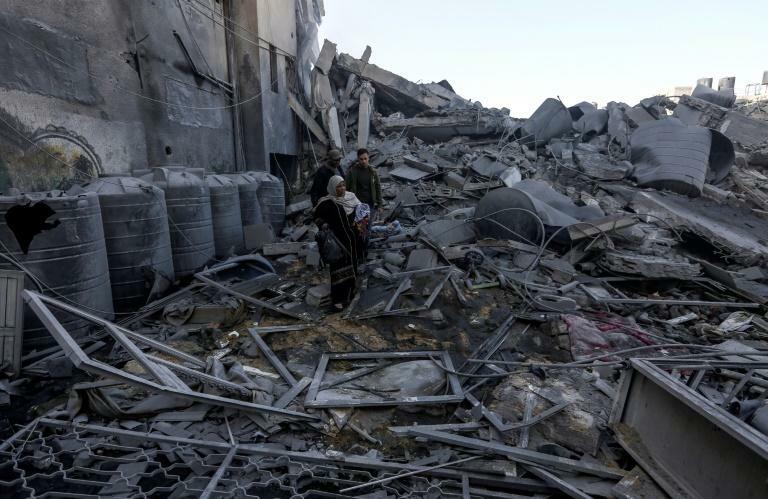 "Our fighter jets and aircraft struck additional Hamas targets in Gaza," it later added. A security source in Gaza said an air strike hit a Hamas military base in Khan Yunis. Netanyahu, who cut short his US visit, had earlier said "we are prepared to do a lot more". 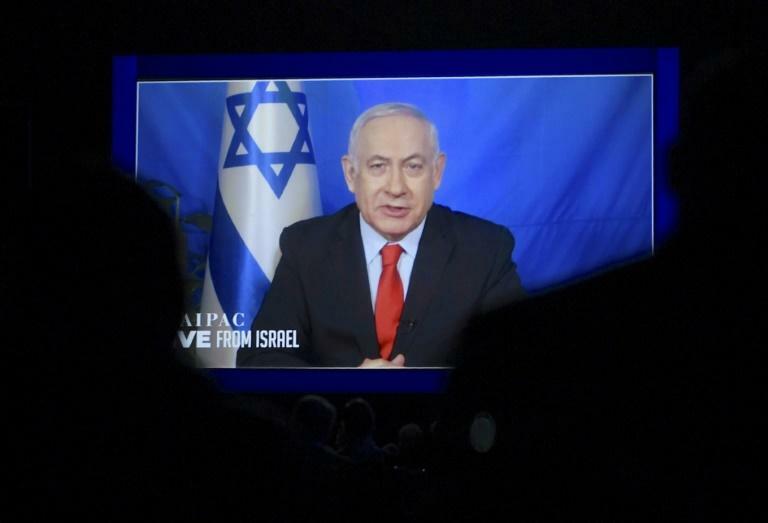 "We will do what is necessary to defend our people and to defend our state," he said via satellite link to pro-Israel lobby AIPAC's annual conference. The army said that after an assessment with Netanyahu, the military chief of staff Lieutenant General Aviv Kohavi ordered more forces be sent to the southern region. Kohavi also "approved completing the summoning of additional reserve soldiers," a statement from the military read, without providing further details. The prime minister is widely believed to want to avoid a fourth war in Gaza since 2008 with unpredictable consequences ahead of the elections, but he is also under heavy political pressure. Saturday marks the one-year anniversary of protests and clashes along the Gaza-Israel border, and large demonstrations are expected for it. Netanyahu said earlier Tuesday that Israel's response to Gaza fire was the largest-scale attack on Hamas sites since the last war between them in 2014. The government closed its people and goods crossing with the blockaded enclave and reduced the zone in the Mediterranean it allows for Palestinian fishermen. It did not confirm the ceasefire announced by Hamas. 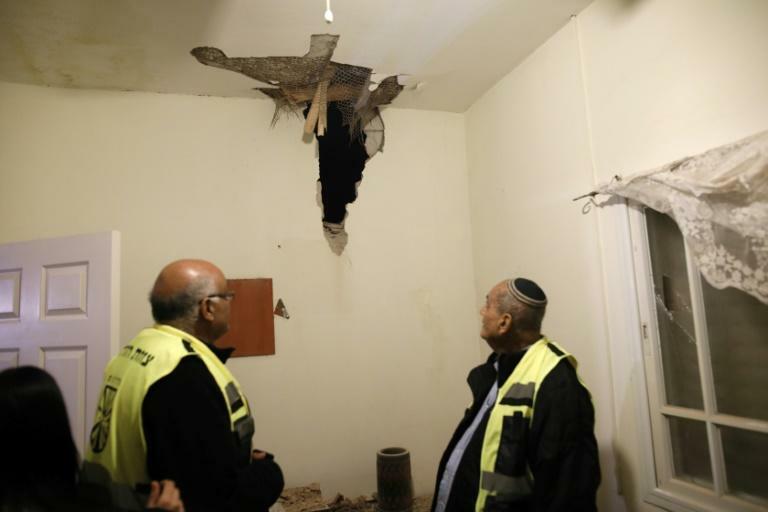 Israel's army blames Hamas for the rocket that hit a house Monday in the community of Mishmeret, around 20 kilometres (12 miles) north of Tel Aviv. A Hamas official, however, denied the group was responsible for that rocket and indicated it may have been fired by accident or even due to "bad weather".